For Eclipse developers, having an integrated Eclipse HTML Editor can be much more convenient and intuitive than external applications. Project Amateras has developed just such a plug-in. Learn what it is and find out how to install it on your computer. Eclipse is an open source community with the goal of creating an extensible development platform with all the tools necessary for building, deploying and managing applications through their entire lifecycle. While it is primarily known as an integrated development environment, the work of the community has taken it beyond the basic functionality of an IDE. Many books, tutorials and white papers are available on the web, as well as professional services for training and consulting. In addition, like many open-source communities, there are many newsgroups, blogs and other resources. Anyone can use these communities to post bugs and solutions, as well as become involved in the open-source development of Eclipse. 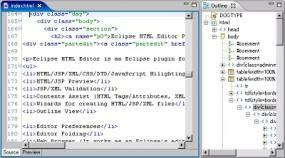 What is the Eclipse HTML Editor? This guide will help you find the correct Eclipse package for your needs, download it and set up the software. As an open source project, Eclipse as a platform is free. In order to get the Eclipse HTML Editor to work, you'll need to download one of four different download packages. They are created for Java IDE, Java EE, C/C++, and Eclipse plug-in developers respectively. If you're unsure of what to download, a safe bet would be the Eclipse Classic, which includes what you need to build applications for Eclipse It has both integrated development environments (IDE), and the Eclipse Rich Client Platform (RCP). The Eclipse Classic also has incremental compilation, all of the source code, and the Plug-in Development Environment (PDE), among other features. Most importantly, it contains everything you need to install the Eclipse Plug-in, available from the Project Amateras website. 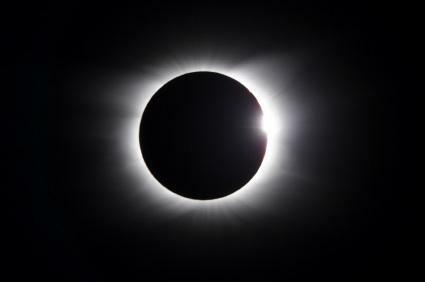 Both files will download to your computer as TAR.GZ or .ZIP files, and when they are unzipped there will be two folders: the Eclipse platform itself in a folder labeled "eclipse", and another folder marked "plug-ins". 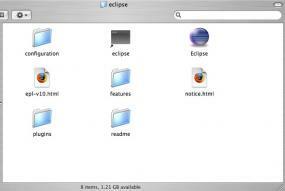 Inside that standalone "plug-ins" folder is the Eclipse HTML editor, labeled "tk.eclipse.plugin.htmleditor_2.0.5.1". This should not be confused with the plug-ins folder contained in the Eclipse folder, as shown in the picture. At this point, installing this editor is as easy as dragging the file labeled "tk.eclipse.plugin.htmleditor_2.0.5.1" (the entire folder) into the "plug-ins" directory inside the Eclipse folder. When you run Eclipse for the first time, it will ask you to designate a "workspace" - by default it is your computer's Documents folder. You can choose to have any directory as the workspace, however, according to the needs of your project. If it doesn't matter, simply click "OK" and continue to the Eclipse IDE itself. While the opening screen has many welcoming icons available, including "Overview," "Tutorials," "Samples" and "What's New," in order to verify the installation of the HTML editor you need to select "Preferences" from the main Eclipse menu at the top of the screen. There is no need to change any of these settings; any call for an HTML editor (or other code covered in the list) will launch the editor as shown. Having these coding capabilities within the IDE of Eclipse can improve workflow and increases the functionality of the application as a whole. If you use the Eclipse HTML Editor, be sure to download the integrated plug-in to save time and avoid having to work with external applications. With the built-in community, and the various options and packages available for download, you're sure to find that the Eclipse plug-in can work for you.